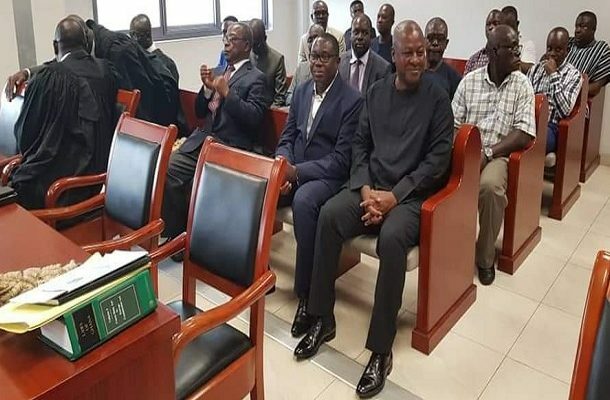 The National Chairman of the main opposition National Democratic Congress (NDC), Samuel Ofosu Ampofo, has appeared in court today to answer charges on conspiracy to cause harm and assault against a public officer. 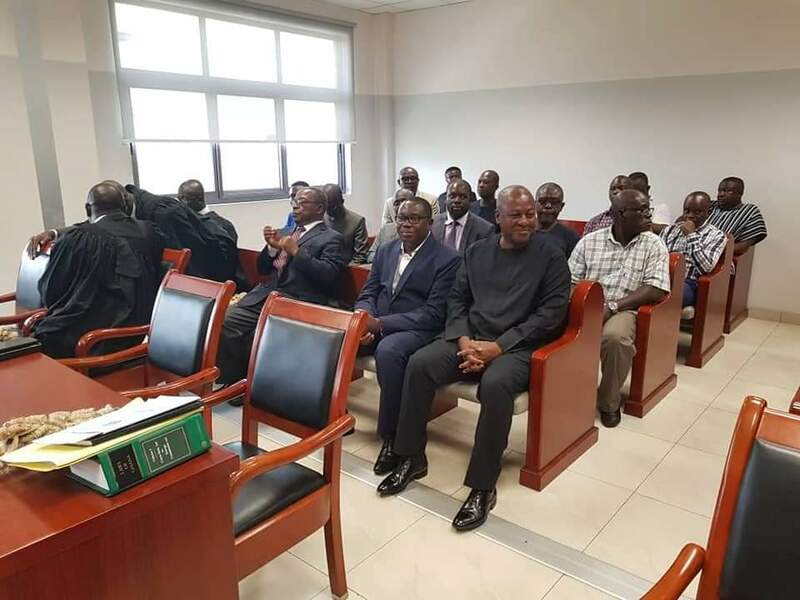 Former President Mahama and other top-ranking NDC executives including General Secretary Johnson Asiedu Nketia and high profile lawyers are in court to solidarize with the two. The charges were leveled against the two after they reported themselves in March 2019 to answer questions concerning a leaked tape in which they are said to have made certain statements inciting violence. Meanwhile, NDC through its General Secretary John Asiedu Nketia has issued a Press Statement indicating that the President, Nana Akufo-Addo is behind “a grand scheme” to prosecute some NDC officials as a way of gagging the opposition.